At soccerloco, you'll find the best selection of adidas soccer shorts at the web's best prices. That's what makes us your premiere online destination for all your soccer apparel needs. We have men's adidas soccer shorts for both game day and practice, as well as a great selection of women's adidas soccer shorts. If you're looking to be inspired by your favorite club or team while you train, or if you just want to match the players when they take the field, we've got the shorts for the kits of the most popular soccer squads. Shop soccerloco now to get yourself a sweet pair of high-quality shorts from a leader in soccer sportswear. 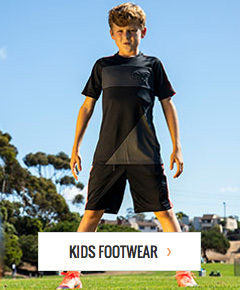 soccerloco carries only the best adidas soccer shorts for players of all ages. All the shorts in our store are made from durable and breathable polyester so you can stay cool while you play. adidas' climacool moisture-control technology is built into the fabric, and helps to keep you even cooler by pulling sweat through the fabric to the surface where it can evaporate away more easily. The team shorts we have look just like the ones the players of the most popular clubs and teams wear when they're on the field. Whether you need men's adidas soccer shorts or women's adidas soccer shorts, you should get them from soccerloco - where you'll get a great deal on high-quality sports apparel. soccerloco is the best at what we do because we offer you the widest selection on the web at the best prices around. We pride ourselves on the extra savings and helpful services we bring to you. Our flat-rate shipping will help you save on your order of men's adidas soccer shorts by eliminating the costly fees normally associated with online shopping, as long as you're shipping to anywhere in the continental United States. Returns are simple at soccerloco. If for some reason you aren't totally satisfied with the adidas soccer shorts you ordered, just send them back! Come to soccerloco today to get your men's and women's adidas soccer shorts so you can play the way you want.